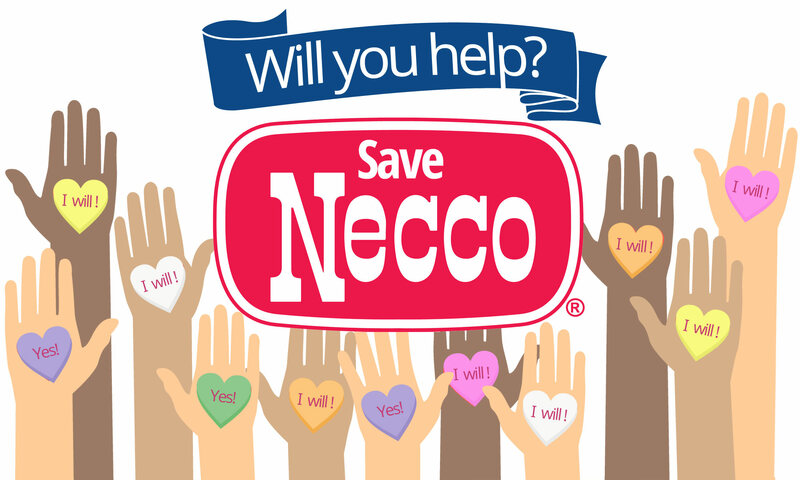 Last week the #SaveNecco campaign was supercharged after The Great Necco Wafer Panic went viral. The whole world saw the passion of Necco fans rushing to buy and tweeting support. It is clear that all of us want to save Necco. The difference between all of us and Al Gulachenski, is that Al Gulachenski can actually pull it off. His team asked CandyStore.com to announce the big news: "We're going to #SaveNECCO!" The media attention this past week has been amazing. But instead of shouting #SaveNecco into the abyss, we hoped something would be done. We hoped the campaign would encourage a serious buyer to step up. 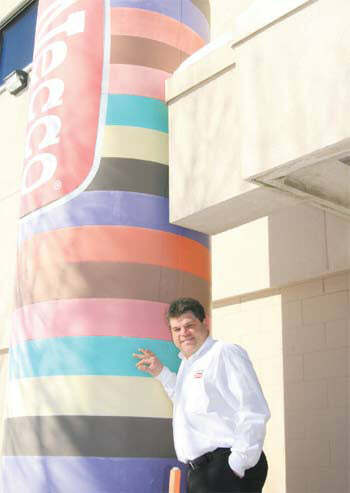 When Former Necco CEO Al Gulachenski reached out to CandyStore.com to make the announcement, we were thrilled! Gulachenski is uniquely positioned to save our favorite nostalgic candy company. Here’s why. Gulachenski was CEO of Necco from 2011-2015. He has the intimate experience, successful track record, and passion for Necco and its employees that is needed. In 2012, just his second year with the company, Gulachenski made the company profitable for the first time in decades. He worked hard to preserve the heritage of Necco while growing the company and adding jobs. He’s got a plan to do it again, and it involves you. Necco today faces some challenges, but Gulachenski says they’re solvable. The first thing he said they need to do is relocate to home that suits their needs. Gulachenski made it clear that that new home would be in Massachusetts. He also wants to keep as many of the current employees as possible, and to bring back the executive team that worked with him last time to make Necco successful. In order to do this the right way, Gulachenski needs a total of $30 million. He plans to raise $5-10 million himself and crowdfund the remaining $20 million from his GoFundMe Page. This is the part where we all need to step up and contribute what we can. This is where a hashtag becomes action and #SaveNECCO becomes a reality. We all need to pitch in, and if you do you will be a part of saving an American institution. “I have been informed by several people that I cannot offer shares in the company in return for your donations. I am sorry, I do not know if they are right or wrong but we can’t take the chance. If you would like me to return your donation just let me know”, he wrote. What If We Don’t Raise Enough Money? What if Gulachenski is not successful in raising the money to take Necco back? First off, if the $20 million goal isn’t reached, you get your money back. That’s how crowdfunding works. So, don’t worry about that part of it. But here is the real dire part of the situation. Gulachenski explained that the current private equity owners of Necco actually DO have a buyer lined up. Say what?! Well, that’s good news, right? WRONG. That buyer plans to liquidate the company, fire all its employees and shut down Necco forever. “Corporate greed,” said Gulachenski. Ew! We cannot let that happen! Let’s all step up and make this happen. Gulachenski is our guy. He has genuine passion for Necco and hands-on experience there. With his plan, we have a way to actually help save Necco. Go to the GoFundMe page now and contribute to save Necco! Then shout it out with pride: I helped #SaveNecco !! Best of Luck, Al! Necco Candy is worth saving. An icon in the Candy Business, Necco should be preservered for the generations to come!